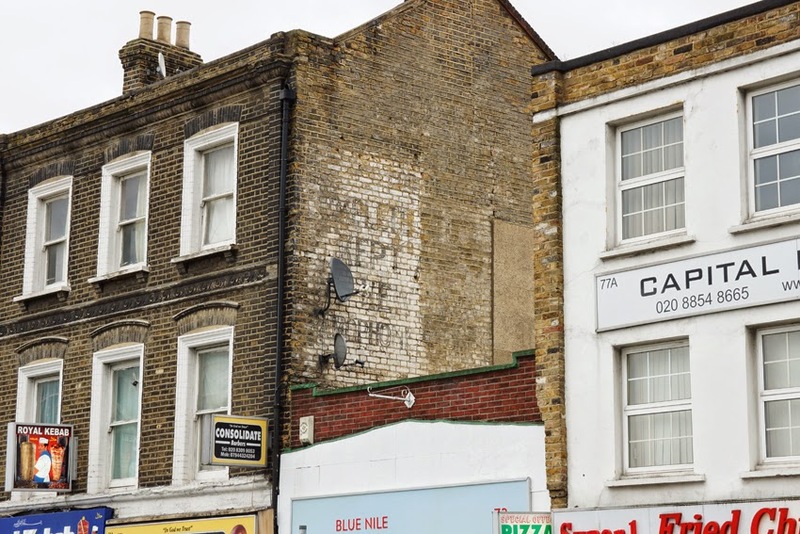 At first glance, 201 Whitechapel Road is a pleasant Victorian building but not of particular interest. However, above each first-floor window is a painted sign: Bedding, Bedsteads, Feathers, Flocks. The building has a long past as a clothing shop, not unusual for this area. In 1871 it was a hosiery and menswear shop; in 1982 it housed a wholesale clothing manufacturer. Today, it is a retail clothing shop again. However, our signs presumably mark a break in such usage, since woollen flock was used to stuff mattresses: combined with bedding and feathers, it suggests that the shop sold not only bedsteads but also the mattresses and pillows to go with them. 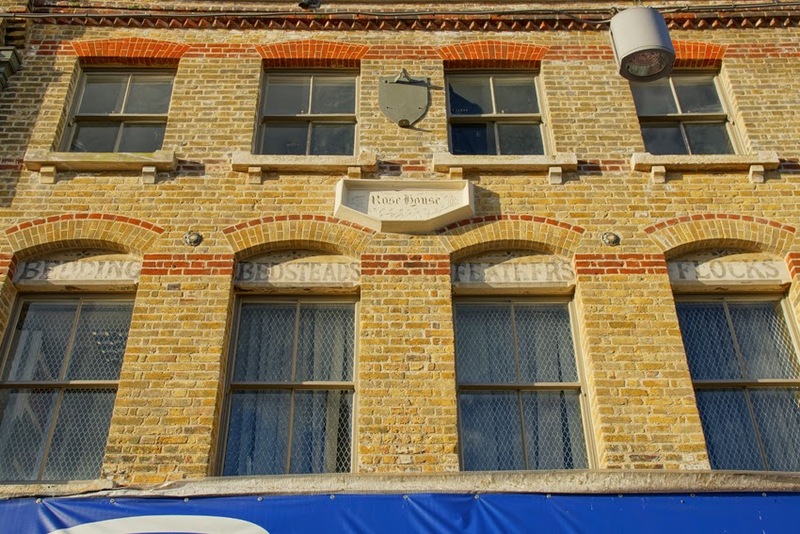 In researching this post, I came across a lovely resource: Panorama High Street East, which has photographs of the length of Whitechapel Road and beyond, combined with all sorts of information on each building. 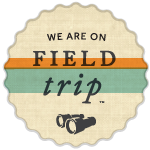 It's a lovely way to explore this stretch of the East End! Intended to be temporary structures, tin tabernacles were cheap flat-pack churches or chapels, ordered from a catalogue and erected quickly to tide the congregation over until a permanent structure was built. The corrugated-iron stop-gap then disappeared; but even those which weren't replaced were vulnerable to issues such as rust. As a result, they are relatively rare today, and seeing one is always a pleasure. 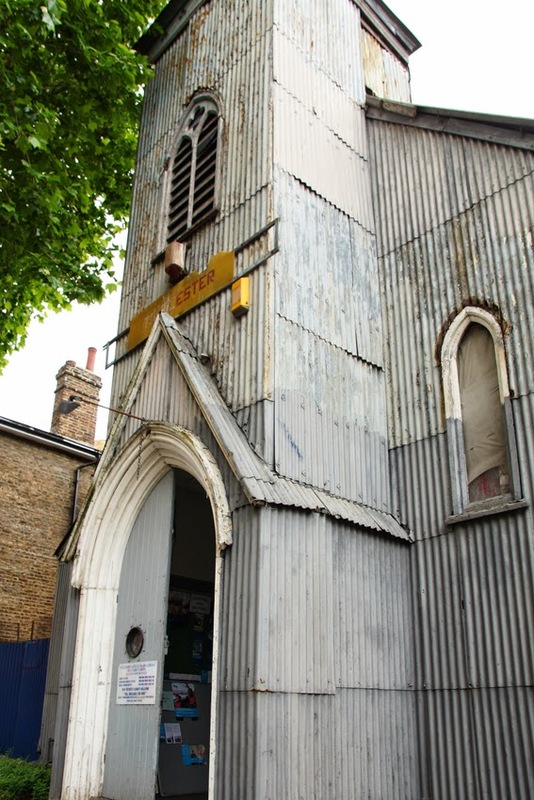 The tin tabernacle in Cambridge Avenue, Kilburn is especially exciting, as its more recent life has given it an extraordinary interior. The Congregationalist chapel was built as part of a housing development in 1863, and developer James Bailey intended it to be replaced later with a more conventional chapel. However, his bankruptcy in 1866 was probably one reason that this never happened, so the iron structure is still standing over 150 years later. Transformations over the years included the addition of a total-immersion font at the east end of the building. By the early twentieth century, however, the chapel was falling out of use. During the Second World War, it was used as an Air Raid Precaution store. Soon after the war, the building was transferred to the Sea Cadets - who continue to occupy it today. 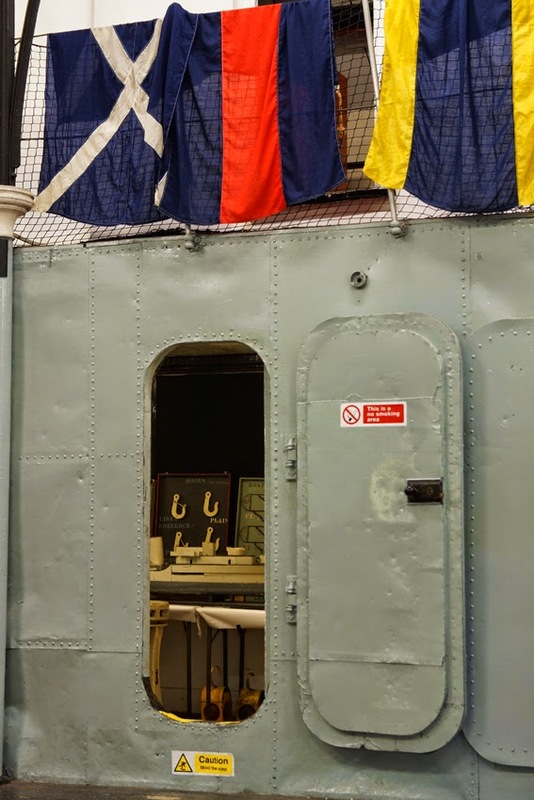 They showed great ingenuity in transforming the interior into a battleship - using two old buses to do so. 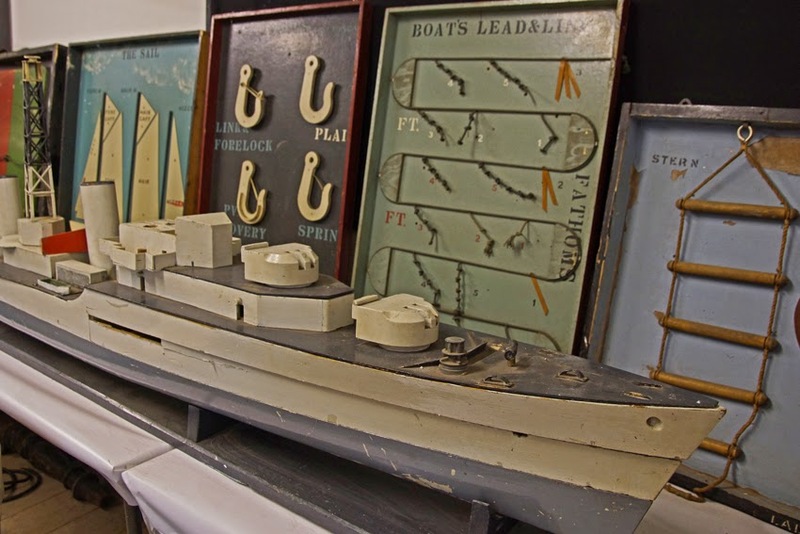 Information boards on all aspects of ships and shipping, from sails and knots to ship identification, were crafted using painted wood. 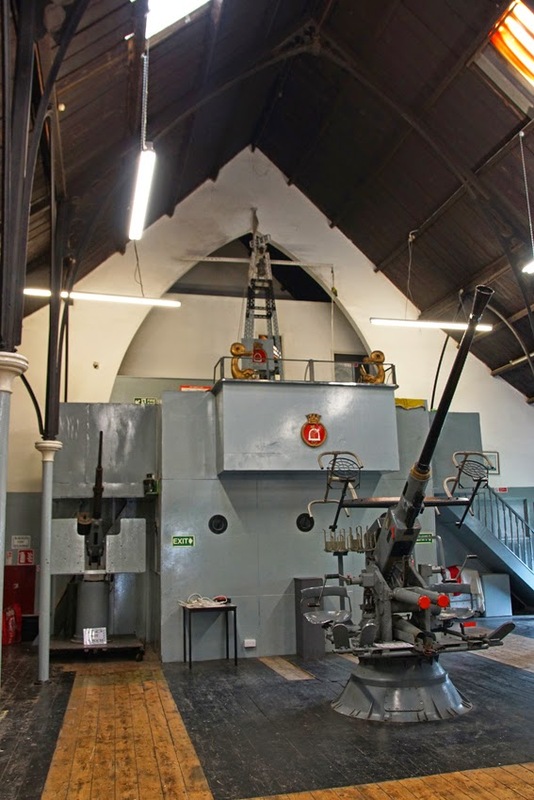 The total immersion font and crypt were filled with concrete, and a Bofers anti-aircraft gun now stands in pride of place. That same ingenuity furnished the naval chapel. The fittings come not from another place of worship but from the set of Becket, filmed in 1964 at Shepperton Studios with Peter O'Toole and Richard Burton. 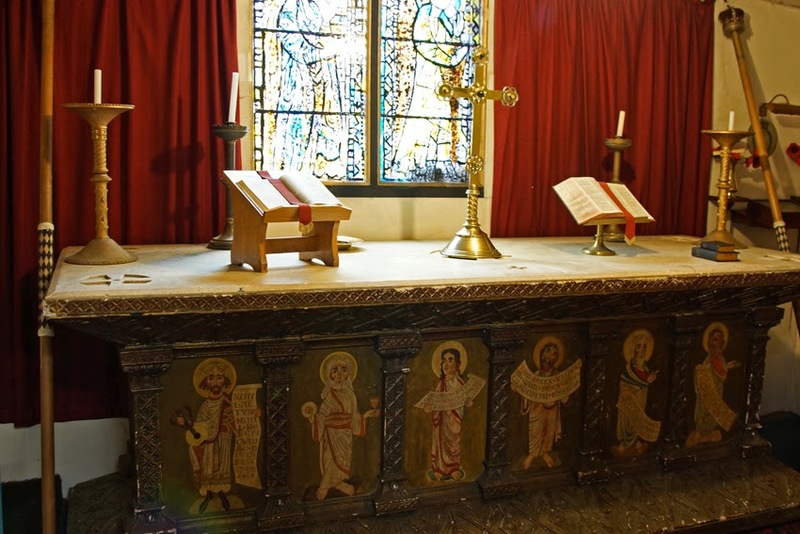 The tin tabernacle can be visited on most Saturday afternoons (contact them via the website to double-check). Donations are very welcome, as this fragile and extraordinary building is in desperate need of restoration, and a fund-raising campaign is underway. I visited with the Victorian Society - find out more about their excellent events programme here. Don't forget that this weekend is Open Garden Squares Weekend, when all sorts of London gardens and green spaces welcome visitors. One ticket (£12) gives you access to as many as you can visit in two days! 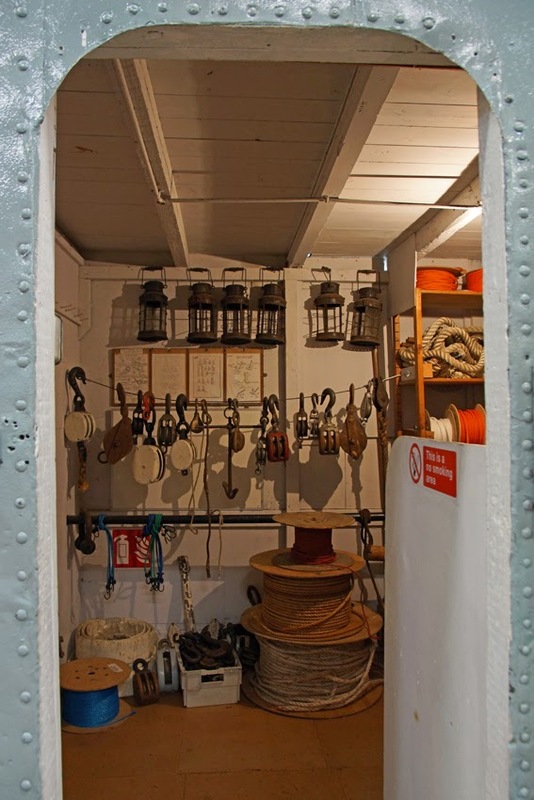 I enjoyed it so much last year that this year, I'll be volunteering at the Brunel Museum on Saturday morning. 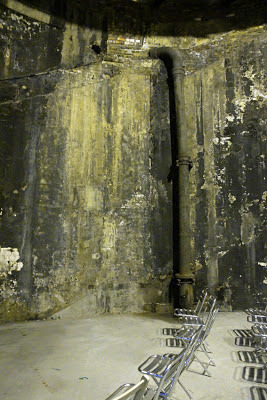 As well as a charming herb garden - with cocktails in the evening - you can visit the extraordinary Thames Tunnel shaft, now an atmospheric concert hall. 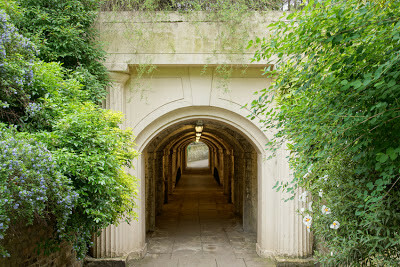 Another favourite of mine was Park Crescent, joined to Park Square by the Nursemaids' Tunnel. It also has cunningly-disguised ventilation shafts for the Underground station below, and some rather special plane trees. 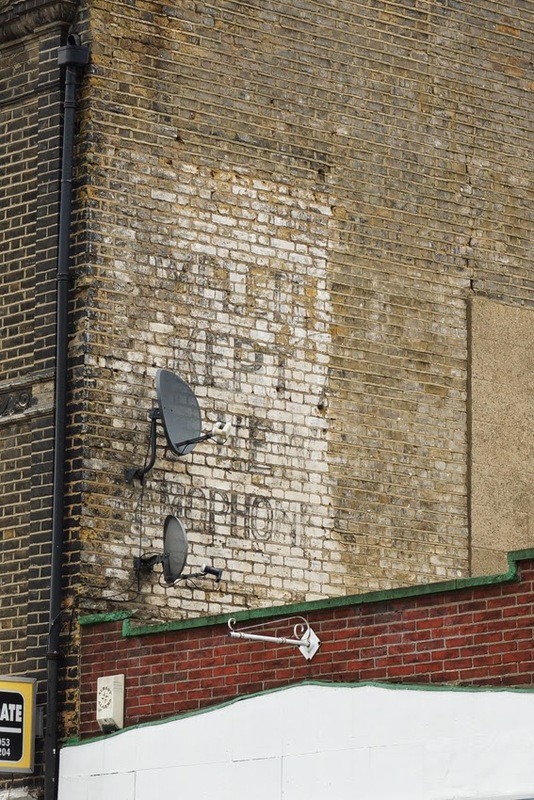 This ghost sign on Woolwich New Road is a bit of a mystery. Half of it has worn away, and the other half is not easy to decipher. However, it does include the words 'kept a--' and, most intriguingly, 'gramophones'. Any suggestions on what it advertised are very welcome!